GM and Michelin need to seriously speed production of these Tron-like vehicles! The official name of this car is appropriately EN-V.
As my wife and friends will tell you, I really don’t know much about cars except that I own two and last year my family and I drove a Chevrolet Traverse 12,000 miles in 46 days as part of an epic family road trip we documented on this blog. 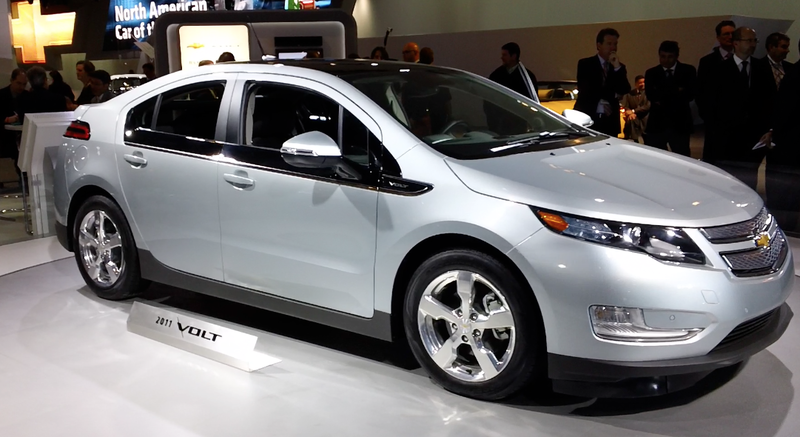 The Chevy Volt won the Detroit auto show's Car of the Year. I think the timing for this fever pitch around fuel efficiency in the industry could not be better for families because gas prices are predicted to spike again. GM’s No. 2, Tom Stevens, the Vice Chairman of GM, told a group of bloggers yesterday that the fuel price crisis of 2009 will not take GM by surprise anymore because GM is already producing vehicles that are super fuel efficient. Indeed, everywhere I turned to at the show I kept seeing trucks from all the automotive companies with fuel efficiency that a couple years ago you only used to attribute to cars and wimpy trucks. 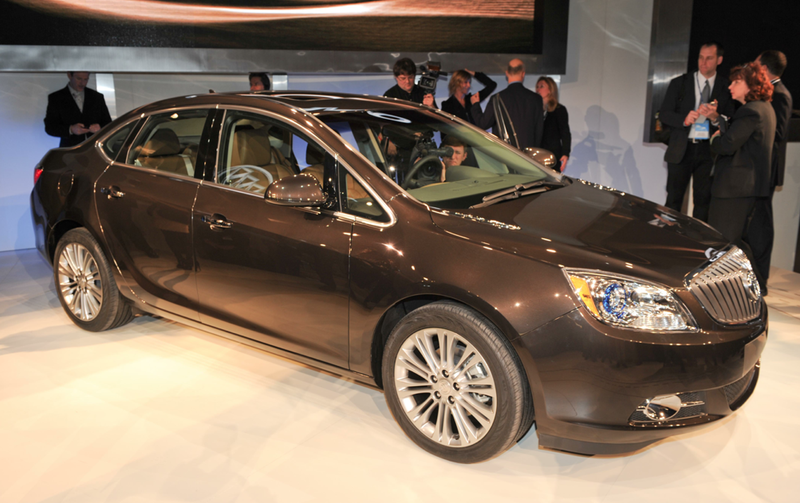 The Buick Verano is further proof American car makers are producing vehicles that look good again. I have to say that until recently I personally didn’t like the way most American cars looked. For the past decade or more I think they’ve looked boring and box-like compared to the Japanese and the Europeans. Looking closely at the latest offerings from GM, Ford and Chrysler you notice that American cars are no longer the ugly ducklings. They’re looking hot! Case in point was yesterday’s unveiling of the Buick Verano, a small luxury vehicle that made a big splash for its combination of looks and features. Stevens says GM is paying more attention than ever to developing car designs that captivate even the most jaded car buyer like me, to which I say, amen because that thought was so lacking during the dark days of Detroit. The EN-V are experimental vehicles co-produced by Michelin and General Motors. 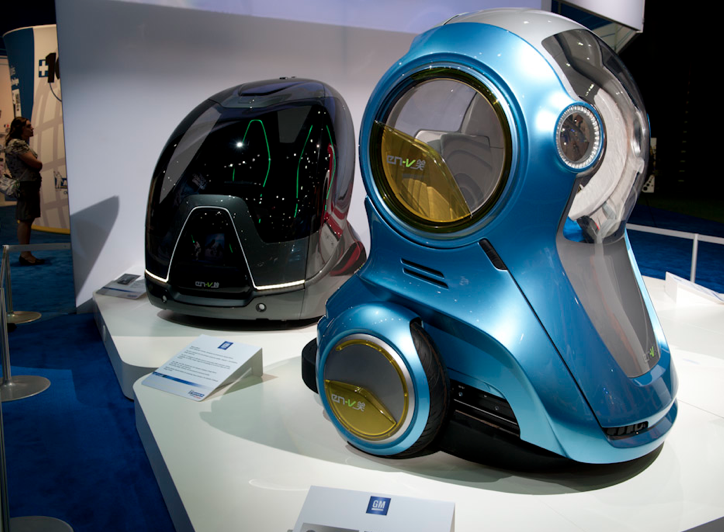 If I had to give the award for the one thing I would most love to see happen, in first place would be the EN-V concept vehicles that some people variously nick name the Pd Car, the Personal Car and the Mono Car but that I prefer to call the Tron Car. 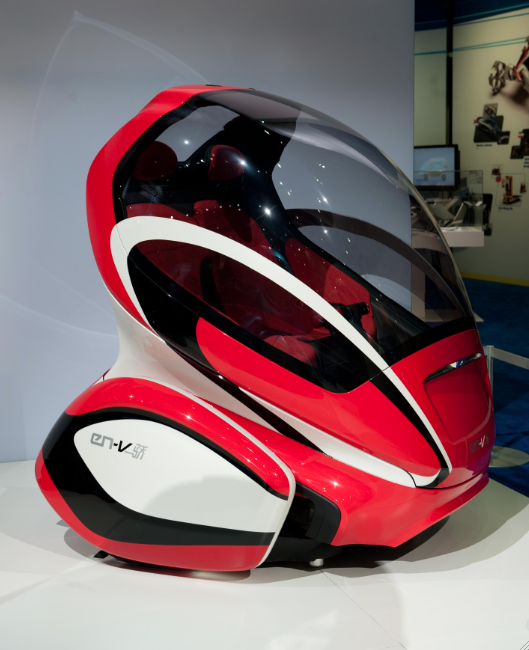 The two-wheel, two person EN-V is a joint venture of Michelin with General Motors and currently has a range of 25 miles on one charge at up to 25 mph. 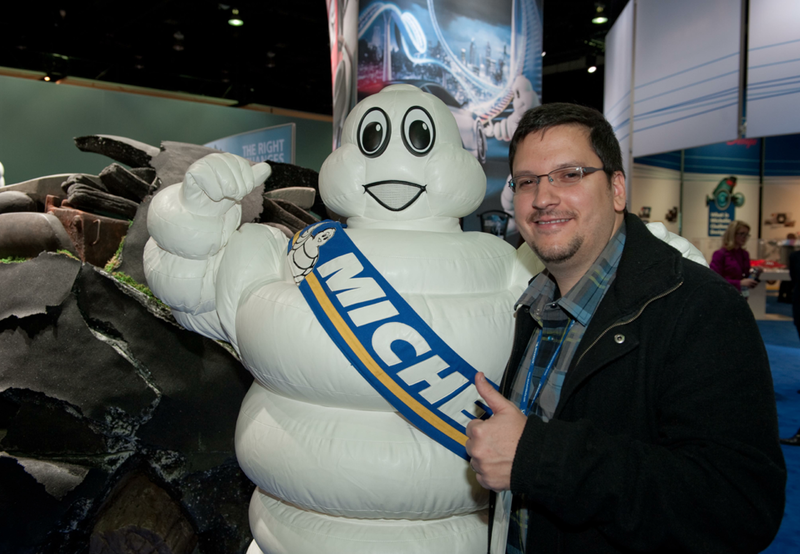 The Michelin Man is much nicer in person than in the TV commercials and at least he was dressed. The guy Kia dressed up as a Native American person was half naked. Pretty strange dude.